California Republic Bank (CRB) prides itself on having the capability to navigate and guide clients through the often complex and unfamiliar world of banking, investing and lending. With that responsibility comes numerous challenges. The bank’s auto finance division needed a better solution to handle it’s auto loan collection process, so it came to CallFire. As an indirect auto lender doing business through franchises and select independent dealers in California, Arizona and Texas, the bank needed to organize its communication and find ways to compete with many other lenders and banks. 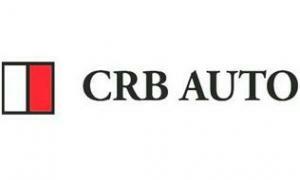 Using a combination of CallFire’s Cloud Call Center and Interactive Voice Response (IVR) solutions, CRB was not only able to increase the amount of outbound calls per agent, but did it in less time. With the help of CallFire, a single session for CRB’s outbound calls runs from one to two hours per agent per day resulting in more than 450 calls with nearly half being live answers. Since coming to CallFire in January 2013, CRB has saved on calling costs and made thousands of calls to customers on past due auto payments. At just pennies per minute for the Cloud Call Center solution, their collections processed improved significantly increasing margins as a result of lowered calling costs and more successful payments. California Republic Bank has enjoyed great success in their auto finance division and is continuing to explore news ways to utilize the array of CallFire products and services for their other departments.